Munich - The age of 28 is said to be the year at which modern footballers are at their peak, and in view of his improvement in the 2013/14 season, that is most certainly true for 1. FSV Mainz 05 striker . 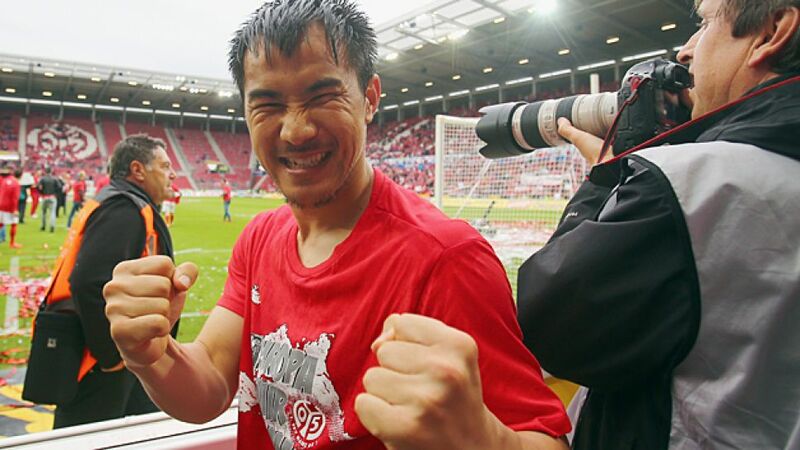 The Japanese international had scored just ten league goals in 63 appearances over two and a half seasons for previous club VfB Stuttgart, but a move to Mainz last summer evidently did him the world of good. Leading the attack for the Karnevalverein, he scored 15 times in 33 appearances in 2013/14, including five braces, to break the record for goals scored by a Japanese player in a single Bundesliga campaign and fire the club into Europe for only the third time in the club's history. After years of struggling on the wing for VfB, the man who will also lead the line for Japan at the 2014 FIFA World Cup has well and truly found his favoured position at the Coface Arena.